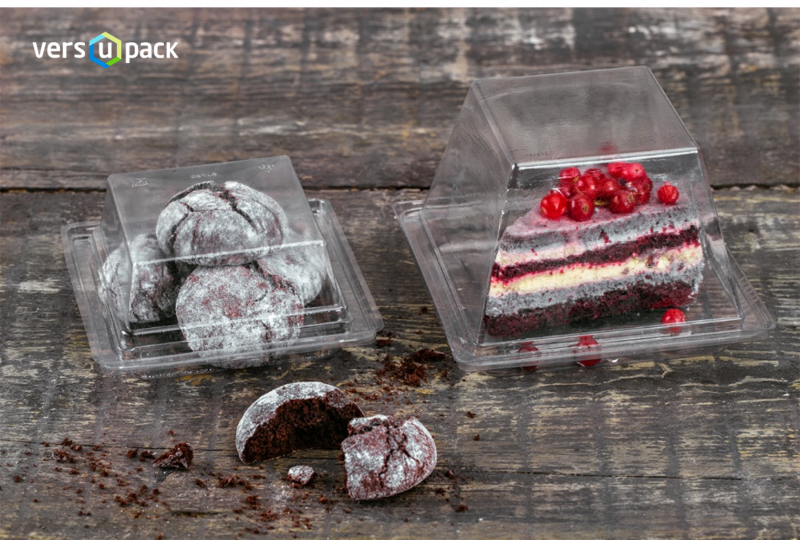 These line of food containers is made of rPET and is an ideal for packing salads, cut fruits, berries, confectionery, desserts and other food. Durable material makes this package resistant to cracks. The lid provides perfect tightness, which is especially important when transporting the goods. 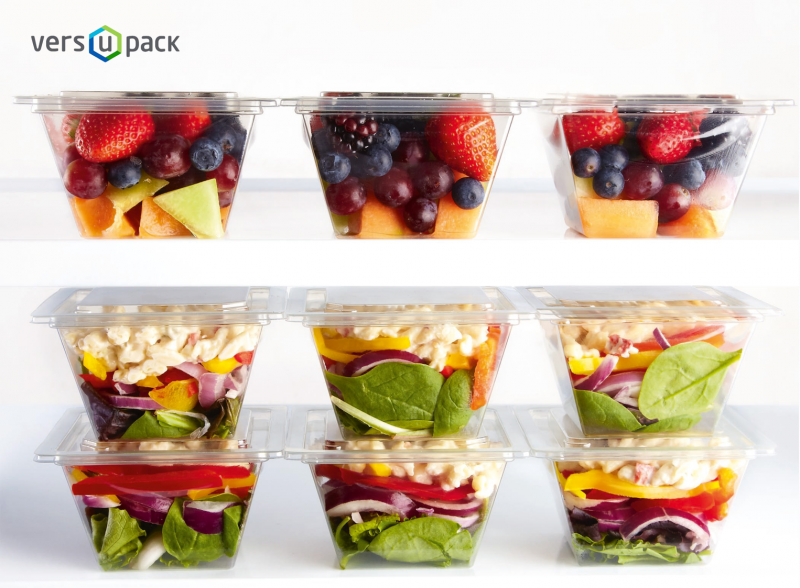 This is the optimal packaging for the displays with salads and other food products. Such an innovative design will help to distinguish your products among competitors' products. It is a nice line of top seal trays for foodservice. Excellent shine, light transmission and transparency. Suitable for sealing with a film. Resistance to aggressive environment. Containers will not be destroyed by fats, oils, sauces and acids.